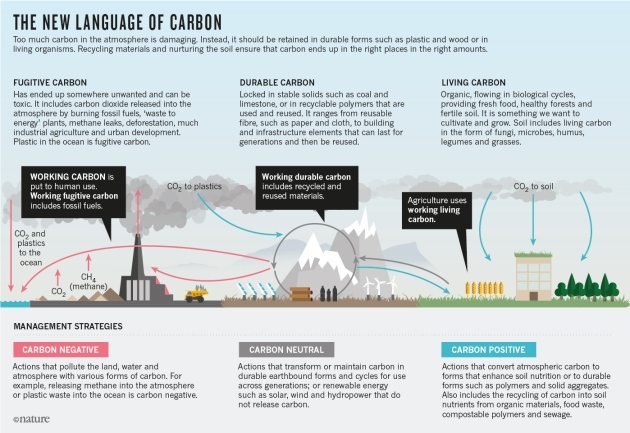 William McDonough proposes a new thinking and new language for the manner in which we approach our relationship with carbon. His article in Nature makes for essential reading. Within design, construction and building operation the concepts of durable carbon and living carbon are not on our carbon agenda. In addition to reducing fugitive carbon, we need to turn our attention to the value of construction we are achieving through units of carbon emitted, we can see this as Construction Carbon Productivity. Yet, even if we were to remove all carbon from buildings construction and in use, we would not make any significant contribution to meet the Paris Agreement 1.5 degC target. We need to include Durable and Living Carbon within our carbon thinking. Indeed as the recent IPCC October 2018 Report suggests, we need billions of trees to assist in our carbon reduction targets. And it strikes me, as the World GBC report advocates, we have thousands of green buildings – lets roll that up to billions – to all existing and new buildings, where buildings can function like trees in respect of carbon, energy and water for that matter. This entry was posted in comment on November 14, 2018 by martin brown.